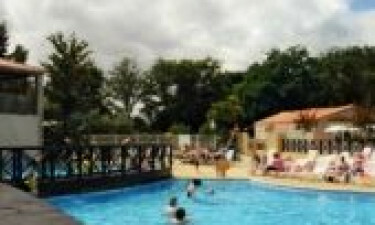 Camping La Garangeoire - A delightful luxury camping site offering the very best swimming pools, sports fields and activities to delight both you and your children of all ages. Situated in the beautiful Loire region of France, La Garangeoire is a delightful luxury camping site that provides ready-made tents and mobile homes across its large, scenic grounds. Simultaneously offering the very best swimming pools, sports fields and activities to delight both you and your children of all ages. You can wind down with a friendly game of tennis or a peaceful day of fishing whilst your children are taking part in the kids' club, keeping everybody, of every persuasion, fully satisfied and entertained. So why should I stay at La Garangeoire? Laundry, free internet access and an on-site grocery store are just some of the important facilities that are included. Houses an on-site restaurant with terrace seating with a takeaway option if preferred. Hosts numerous swimming pools and waterslides in addition to a spa and sauna area, two tennis courts, a multi-sport field and a soccer pitch among other activities such as fishing, crazy golf and karting among many others. Is perfect for anybody travelling with families, providing a kids' club, discos, sports tournaments, karaoke and talent contests, a games room, and so much more! La Garangeoire, via Lux-Camp, are delighted to offer you an endlessly enjoyable luxury camping holiday in a comfortable mobile home. And what's more, you needn't bring your own tent for camping luxury is all ready and waiting for you! If you would prefer a day away from your holiday camping site, the picturesque coastal town of Saint-Gilles-Croix-de-Vie is just a short car journey away from the site and is a trip not to be missed. The stunningly beautiful White City of La Rochelle is also a reachable and utterly unique destination. Nowhere else can offer a better experience for children and the adults who just want peace and quiet! La Garangeoire provides a kids' club, karaoke, tournaments, competitions and evening shows to keep them busy when they're not enjoying the swimming pools or engaged in the games and TV rooms. If you want something more than the numerous swimming pools and the spa area; their facilities for tennis, basketball, volleyball, archery, soccer and boules are second to none and are guaranteed to keep you busy away from your luxury tent! 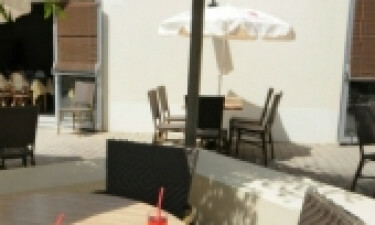 La Garangeoire offers an on-site restaurant with a terraced seating area allowing you to enjoy your food in comfort. Or, if you'd prefer, they provide a takeaway option allowing you to dine in the comfort of your bungalow tent. There is a small grocery store on the La Garangeoire site; however, if you feel the need for something more, the small town of St. Julien-des-Landes is just around the corner. If your idea of luxury camping perfection involves no fuss but plenty of fun, look no further than Lux-Camp and the La Garangeoire site!